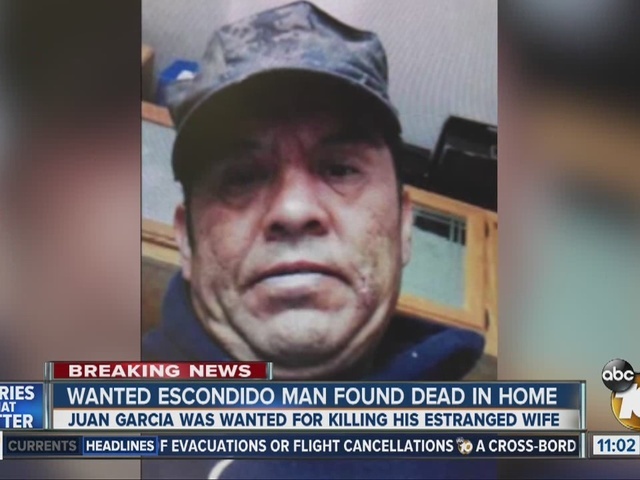 ESCONDIDO, Calif. - The body of a man suspected of fatally shooting his estranged wife over the weekend was found inside the Escondido-area home where the homicide took place, authorities revealed Wednesday. 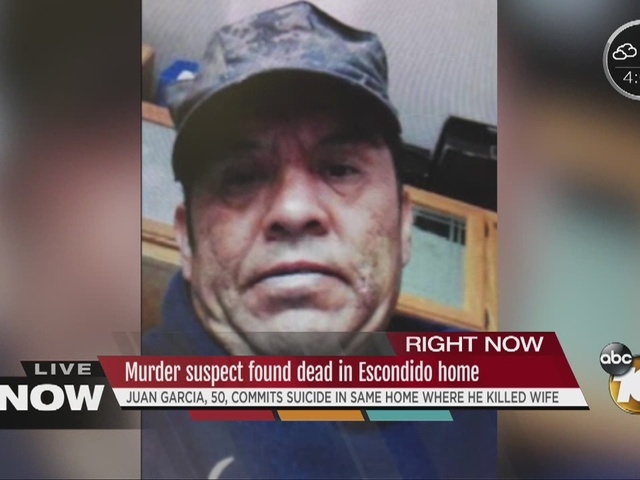 The body of 50-year-old Juan Garcia was discovered inside the residence at 3075 N. Broadway, in an unincorporated area near Escondido, around 11 p.m. Tuesday. Family members who wanted to retrieve personal items from the home asked police to enter the house, and officers fond Garcia's body in a bedroom. Authorities determined Garcia died of a self-inflicted gunshot wound to the head. Garcia allegedly shot 46-year-old Teresa Ortiz at the same address shortly before 5:30 p.m. Saturday. Sheriff's deputies found the man's body while searching the home before members of the victim's family were to be allowed inside to recover personal property, Nelson said. Authorities had searched for Garcia since the shooting. Garcia, who sometimes uses the names Jose Luis Paredes or Jose Moreno, was thought to have been trying to flee the country. His faded red Ford Explorer was later found abandoned several miles from the scene of the slaying. On Sunday, the suspect was spotted driving a stolen Ford Taurus, which was found Tuesday in unincorporated Escondido, sheriff's officials said.